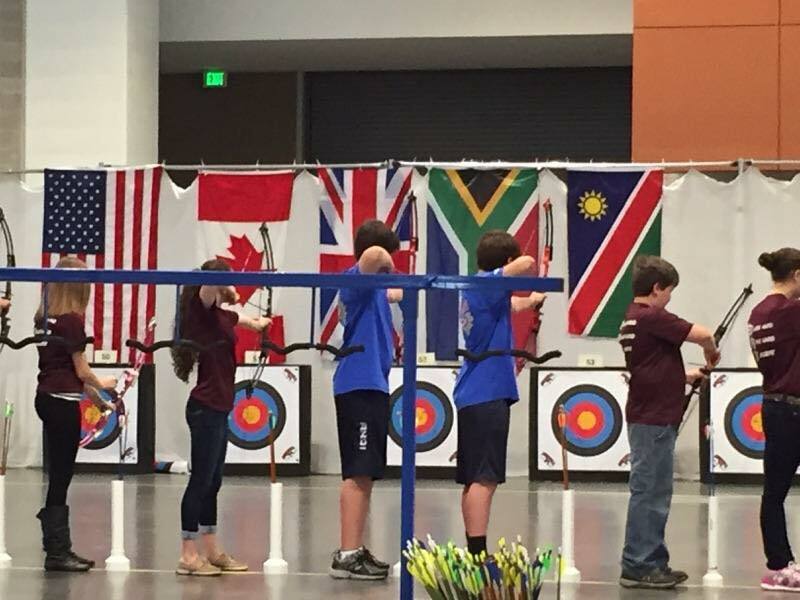 Nashville— Last week, middle school archers from Leland’s Charter Day School joined nearly 5,000 peers from across the globe at the Music City Center in Nashville, TN for three days of competition. Competitors came from as close by as Canada and a far away as Namibia, providing for all a unique microcosm of international community. Currently state champions for the sixth year in a row, the Charter Day School team placed 36 of 90 middle school teams in world competition. Individual competition saw eighth grader Luke Scacheri place 76th of 1,110 middle school boys. Teammates Jack Boldt and Levi Lindbert were close behind in this field with ranks of 156th and 163rd, respectively. In the middle school girls division, 8th grader Mikaela Whitman scored an impressive 268 points of a possible 300, ranking her in the comfortably in the top third of her 959 competitors. Mikaela was the first place 8th grade female archer in state competition this March. Doubtlessly, the “opportunities” Mrs. Whitman mentions include her 8th grader’s ability to take structured, productive trips around the country, as well as to converge for a weekend with thousands of peers from across the globe, all of whom share a common interest and goal. The successful team is coached by Art Instructor Daryl Lafave and parent volunteers Terry Boldt and Ashley Lindbert. Competition is through the National Archery in the Schools Program (NASP). Locally, NASP competitive archery is available to middle school students at Charter Day School in Leland and Columbus Charter School in Whiteville. The schools are members of a family of identical and tuition-free public charter schools that offer a classical curriculum. The family of schools also includes Douglass Academy in Wilmington and South Brunswick Charter School in Southport. To enroll your student at a campus near you, please visit www.rogerbacon.net.